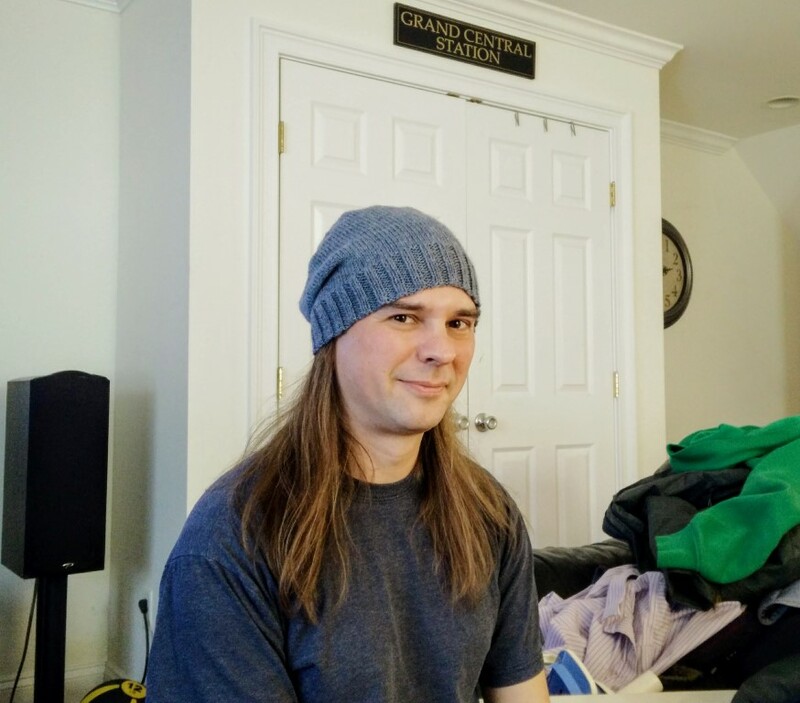 In Which the Pirate Begins a New Year. 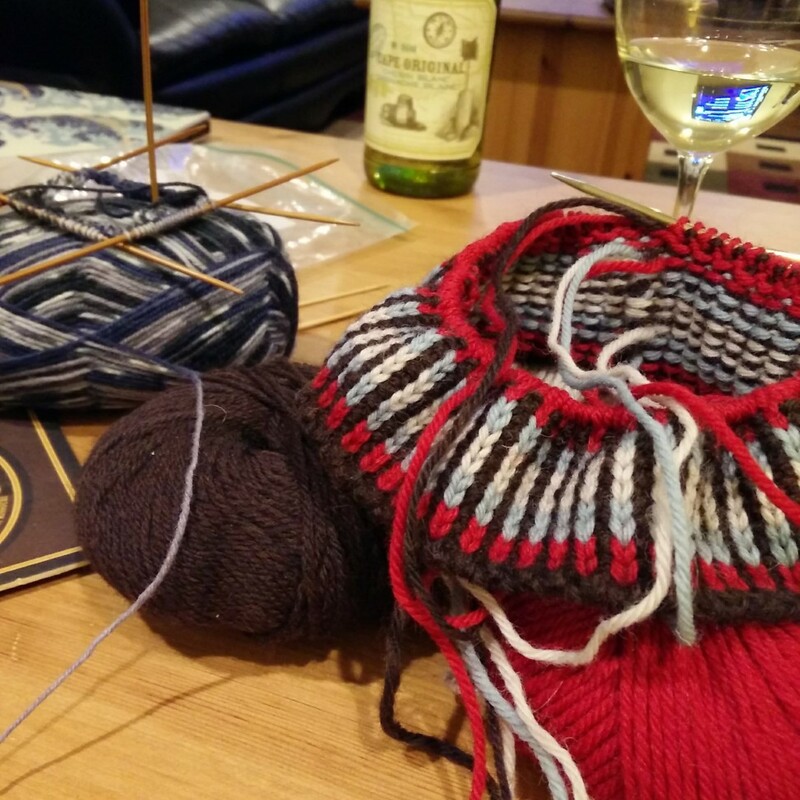 To bring 2016 to a creative finish, I knit this quick floppy hat for a friend. She ordered the yarn and had it sent to me, and I knit it up in a few days. 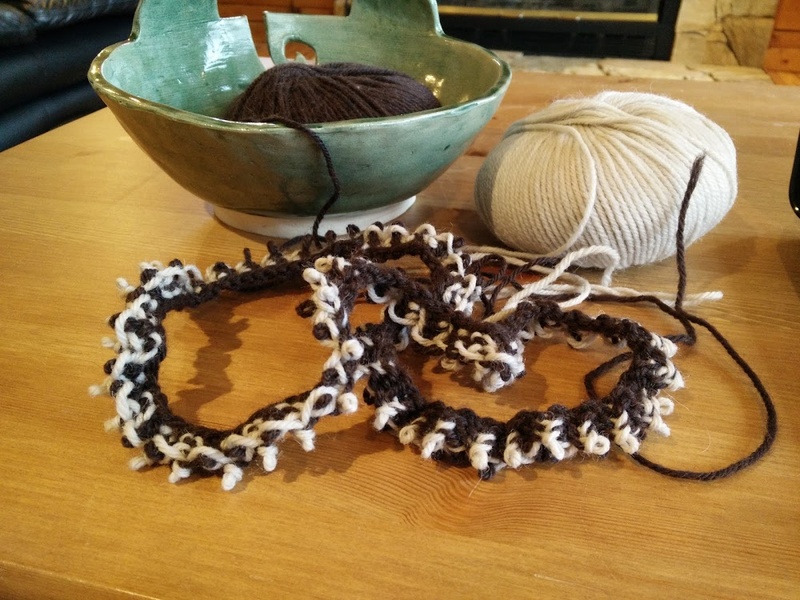 It's amazing how fast knitting goes when one doesn't have to spend eight hours in a cubicle away from the project, isn't it? 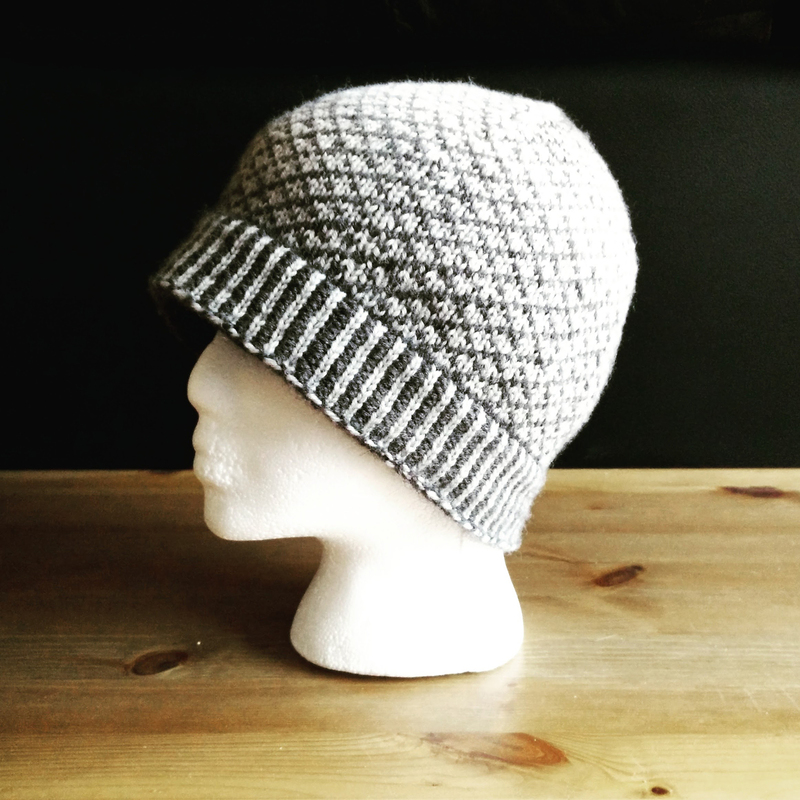 The yarn is Cascade 220 in a surprisingly sedate gray (I'd expected her to choose a bright pink), and the pattern is the Basic Hat Formula that I keep using because it just works. 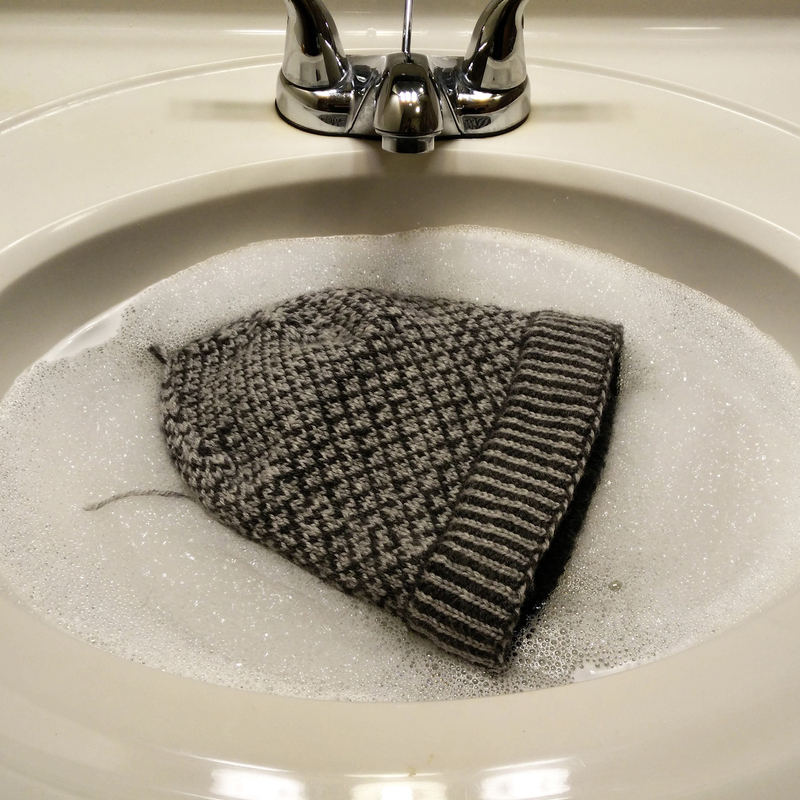 The hat got a soak in some expensive hair conditioner and dried on the boot-and-glove warmer, and though it's still a bit stiff now, it will get more floppy the more it's worn. Michael also finished his own floppy hat (same pattern as above, same Cascade 220, but in a muted heathery blue). 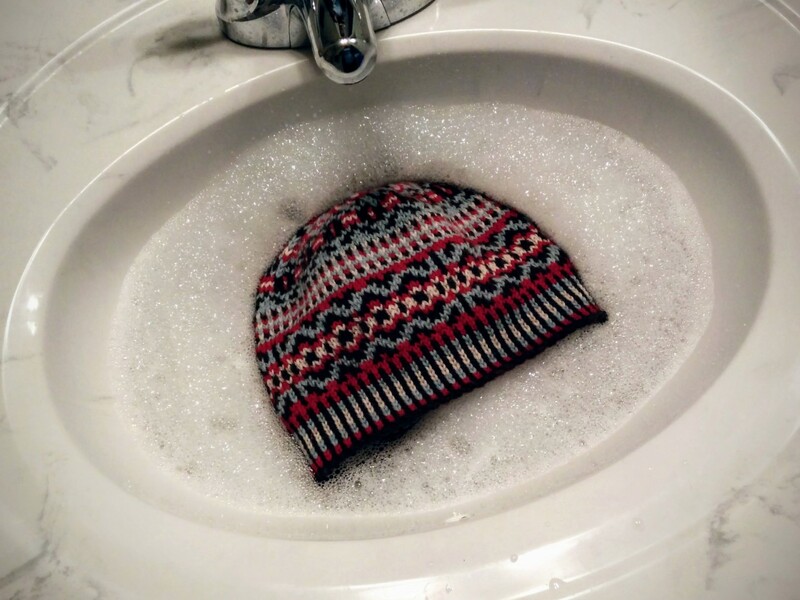 Of course that means that his lost hat will turn up at any moment, as is the way of lost hats. 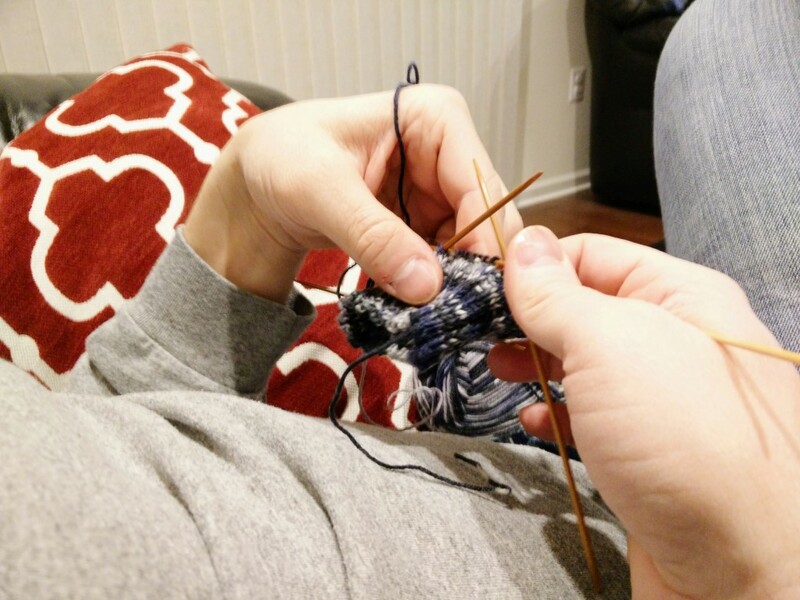 After the hat, I think his fingers must have been itching for something to do, because he pulled out the sock yarn and half-a-sock he'd started knitting almost a decade ago. It had a few problems, primarily that it was going to be too large (blame me for that one; I'm the one who suggested the stitch count) so we frogged it, wound it into a skein, and left it to soak. 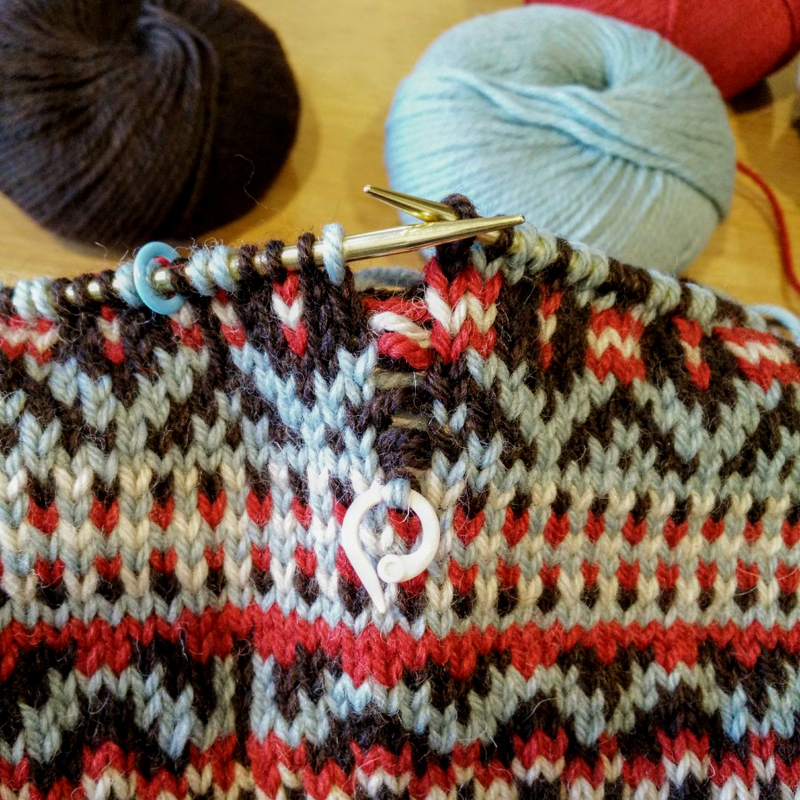 He got started on a new sock with the second ball of yarn while I recharted sections of the still-nameless colourwork hat design. 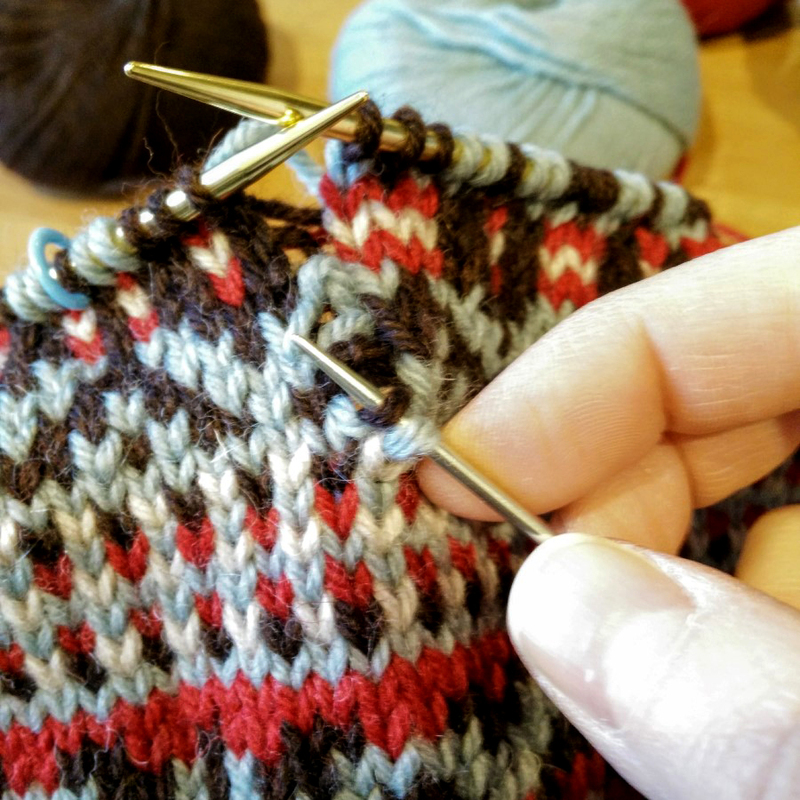 By the end of the long weekend he'd finished the ribbed cuff and was moving on to the stockinette leg of the sock. He says he's doing this so that he'll have something to keep him occupied when we fly out west in a few weeks (snowboarding trip, woo!) but I'm starting to think he enjoys the process enough to keep going even when we're not on an airplane. Meanwhile, with the house to myself again, I'll have the quiet I need so that I can concentrate on getting each of those four colours into the right place. 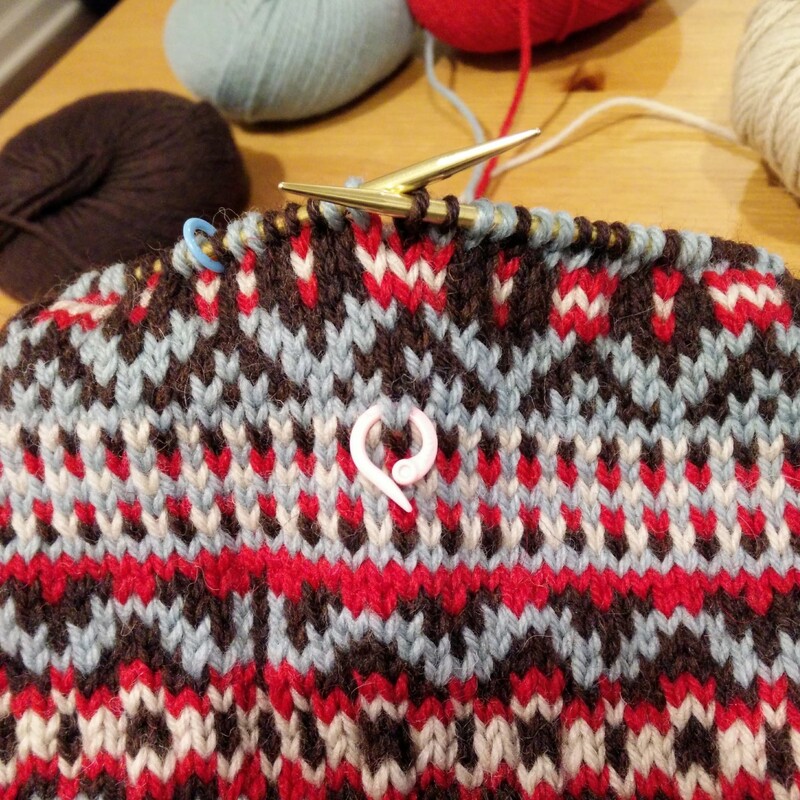 I adjusted the chart to see if I could avoid a nasty jog at the start of each round, and I *think* it's going to work, but only actually knitting the hat will prove my theory. More pictures should be coming later this week, when it actually looks like something! In Which the Pirate Joins a Challenge. 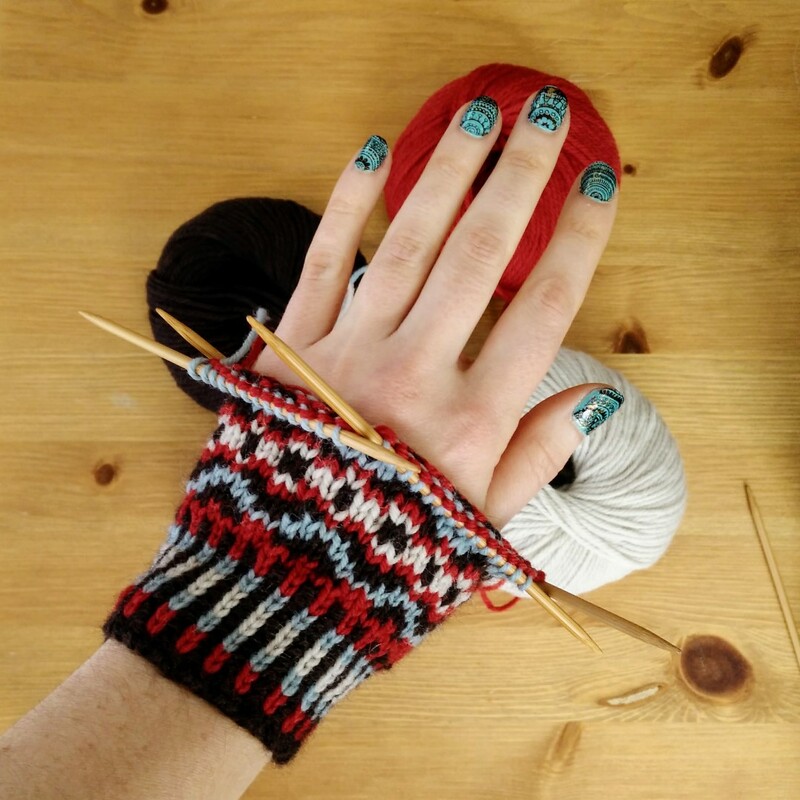 Over on Ravelry, the Remrants group is hosting a Colour Your Winter Craft-A-Long challenge - to finish a colourwork pattern before 31 March. 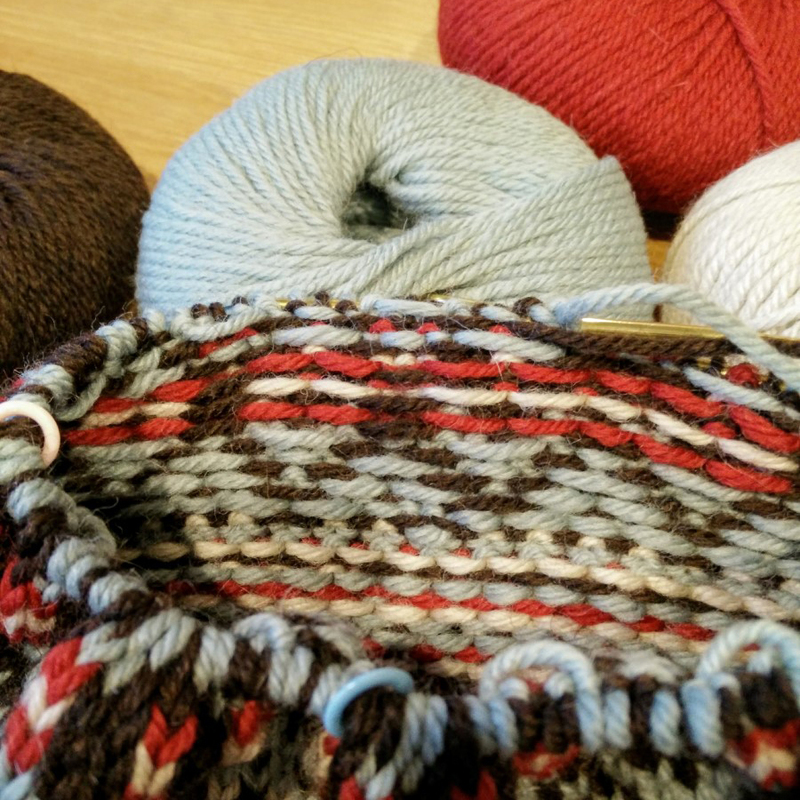 Works-in-progress are acceptable entries, but I decided to start my year off with the challenge of designing a new hat in four shades of DK-weight yarn: brown, tan, red, and light blue. 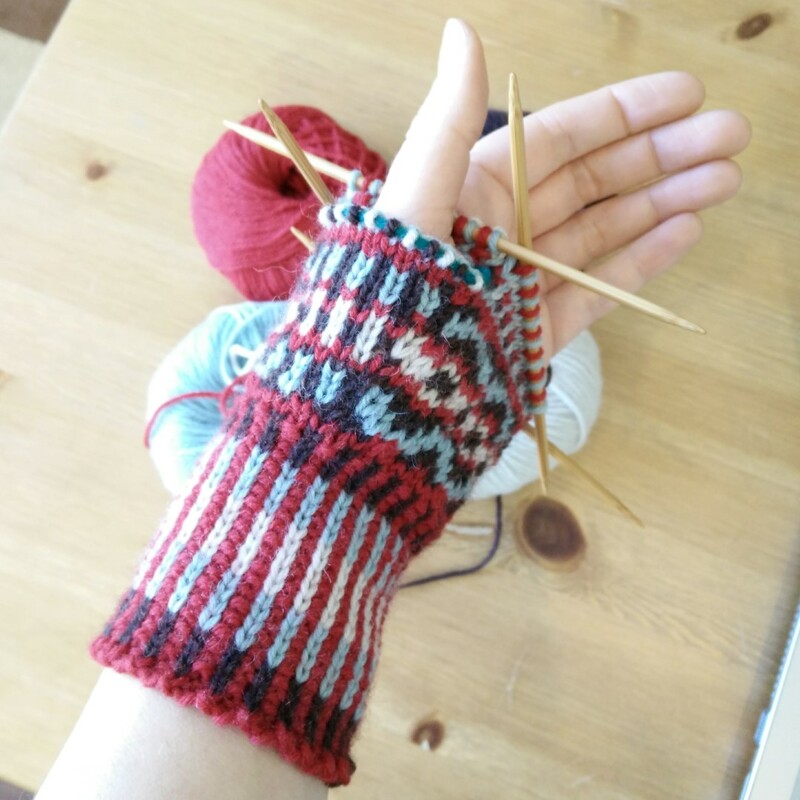 My first attempt at two-colour ribbing didn't have a nice edge, so I started over. My second attempt curled up far too much, so I started over. 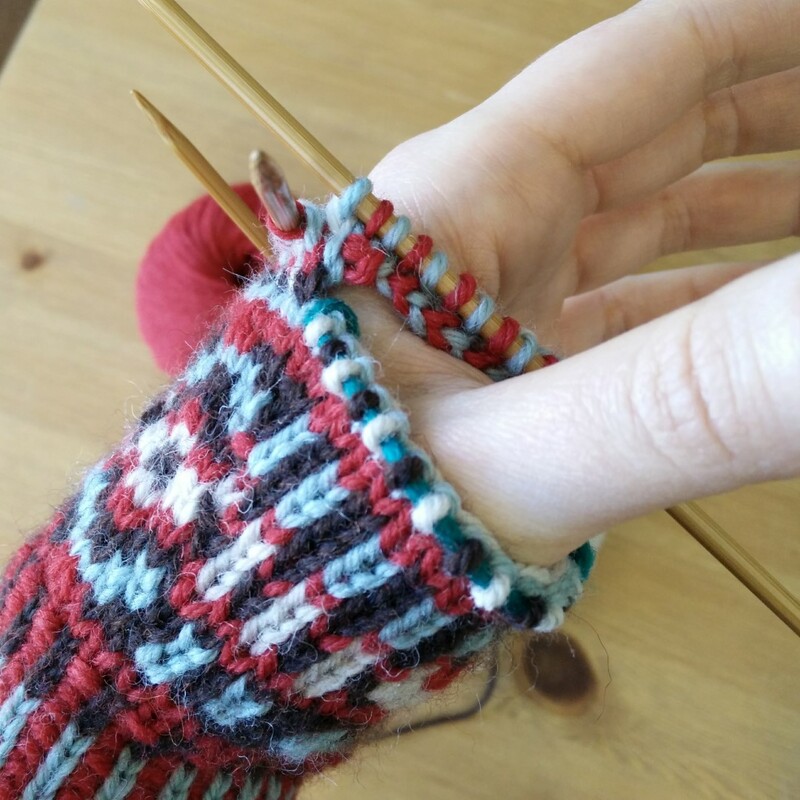 For the third attempt, I changed tactics and tried a two-colour brioche rib, a technique that's completely new to me. 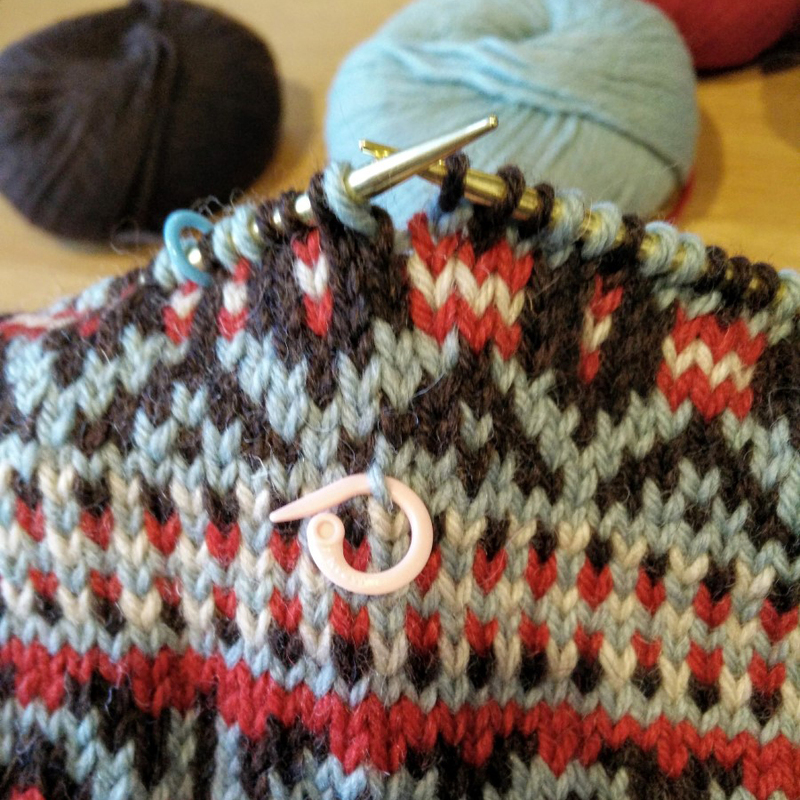 Unfortunately, the instructions I found had left out a bit of important information, which is that even on knit rows, stitches are slipped with the yarn in front. So I started over. Again. 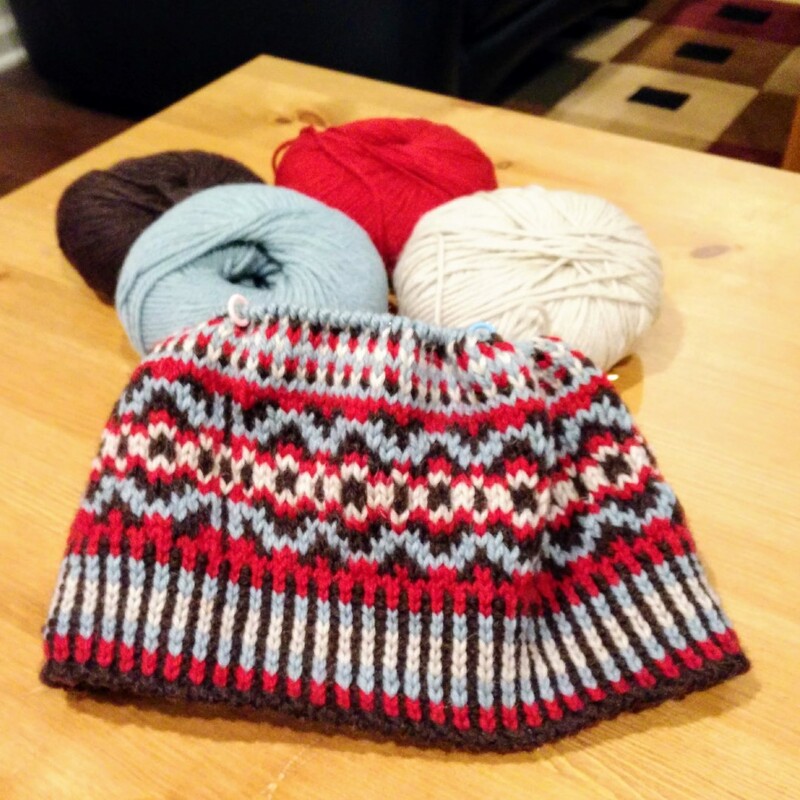 ...but my gauge for the width was totally off, and I think the finished hat might end up being two or three inches too large for my small head. 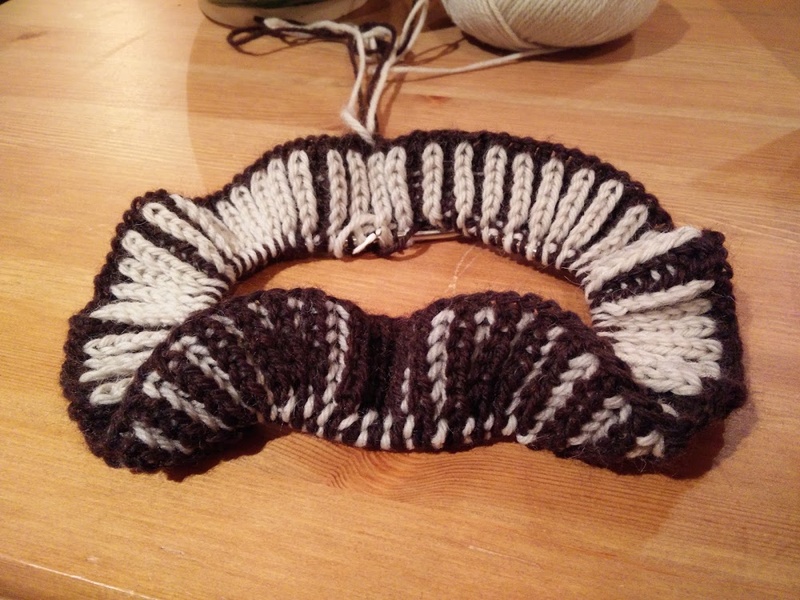 That's okay, because I'd wanted to write the pattern for two sizes, so I guess this one is going to be the larger. 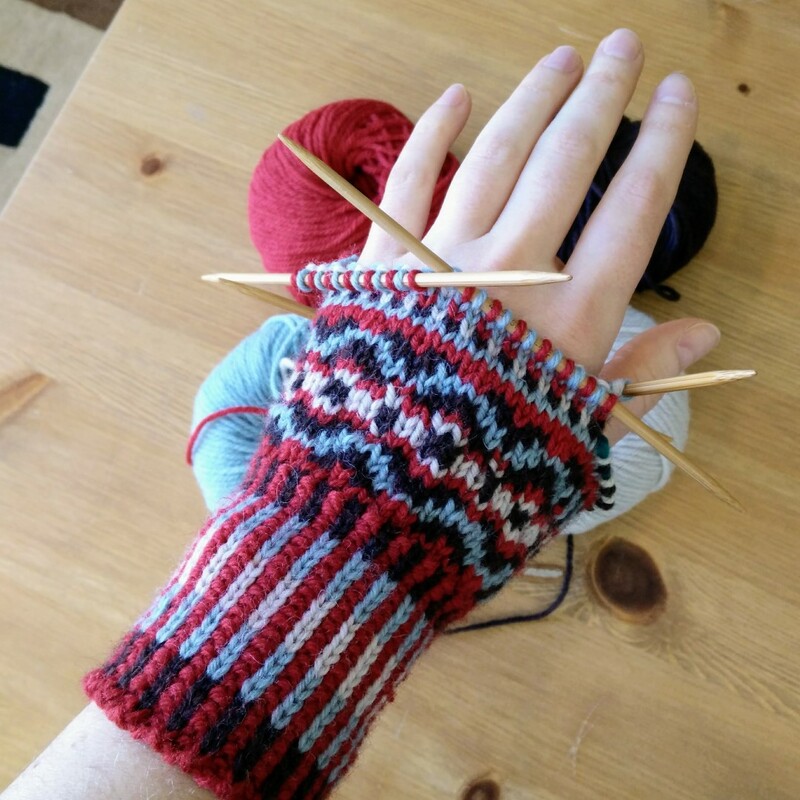 I'm also planning to design and knit a matching set of fingerless gloves and/or mittens! In Which the Pirate Tops It Off. Knitting the bicolour hat went quite a bit faster once I transferred it from the DPNs over to a 16" circular, though my colourwork tension still leaves something to be desired. 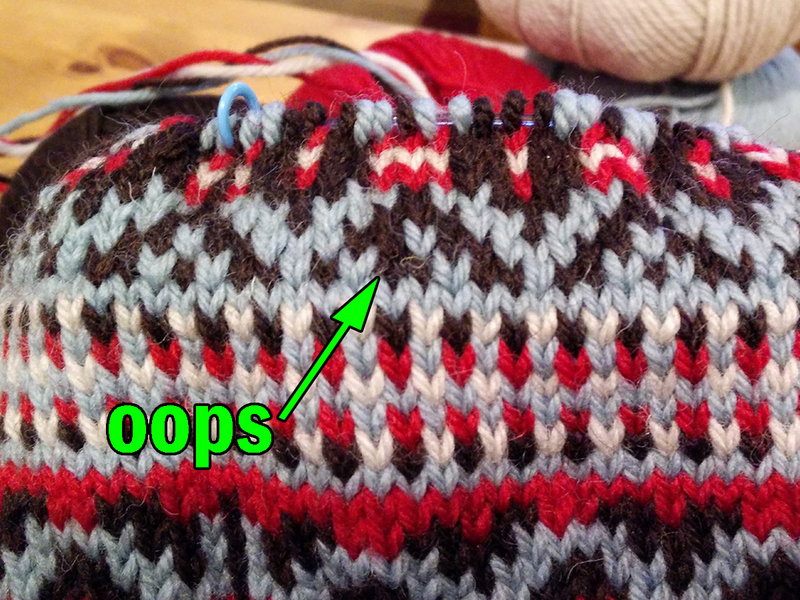 There's a little bit of a difference where I switched needles, but blocking helped make it look less obvious. 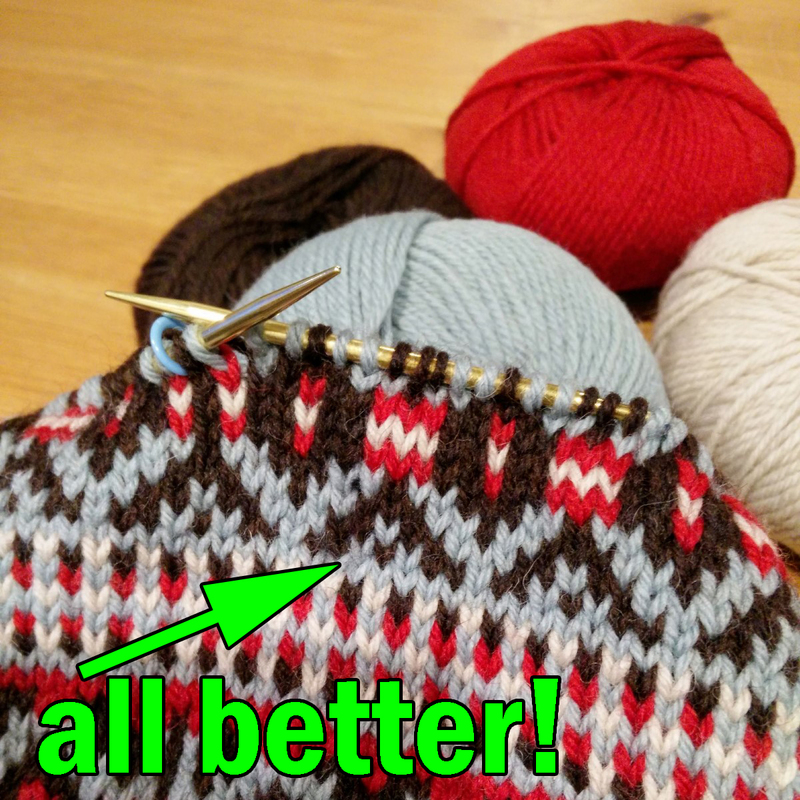 Something to note for next time: even if you're not using the most ideal needles, stick with them for the rest of the project. 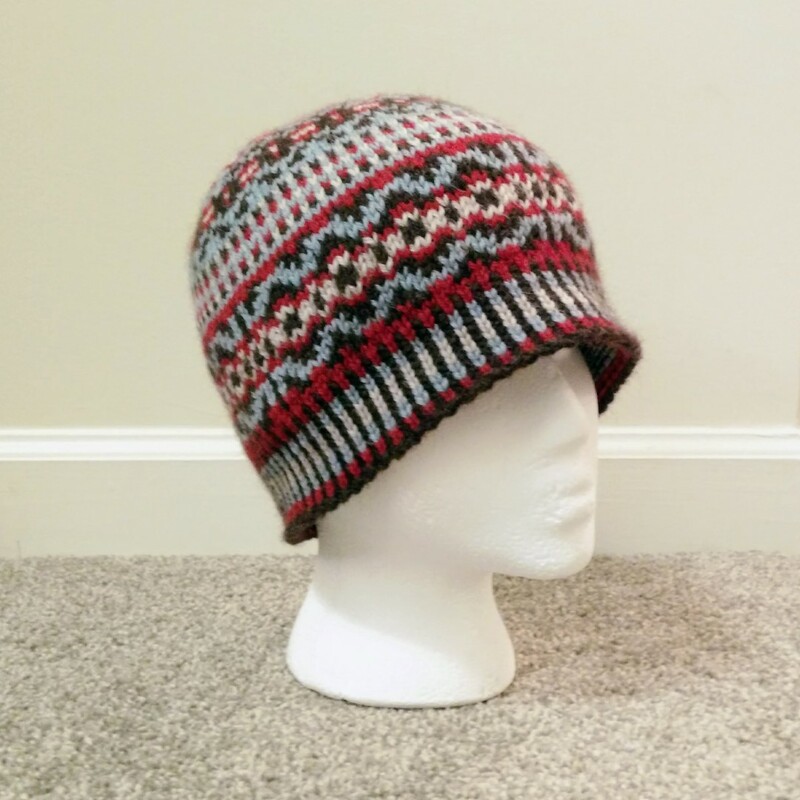 This project's trial and error has taught me a lot about designing colourwork hats, and I will definitely be putting the lessons learned to good effect the next time. The lined brim came out exactly how I had envisioned it, but the 'seam' where each round ends and the next begins is not something I'd expected. A solid colour at that junction would have hidden it better. It took me a few attempts to figure out how the crown of the hat should come together, and I'm happy with how it looks - although I think I might need a larger model head! I have my fingers crossed that it will fit Michael's head perfectly, and I'll find out in just a few days when I see him at Thanksgiving. 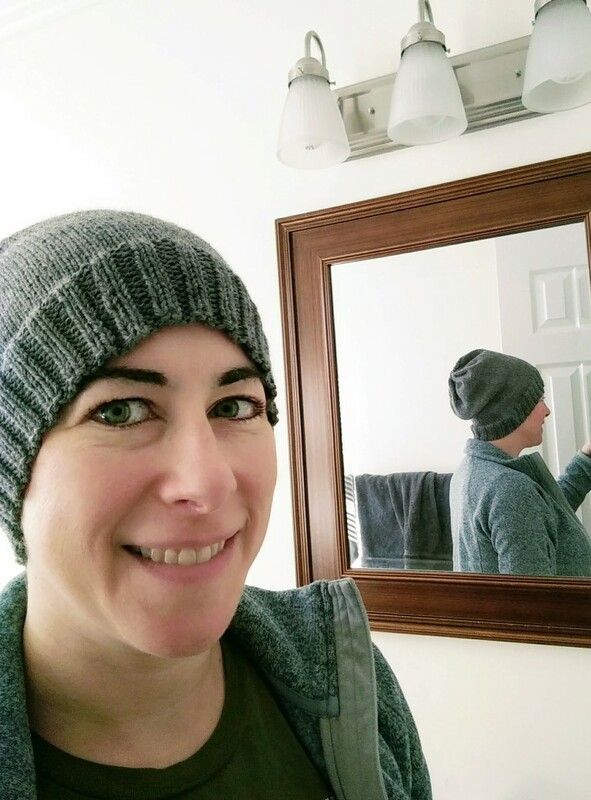 Since I only used about half of each ball of yarn to make this hat, I'm planning to make another in a slightly different pattern. I have lots of other partial balls of Cascade 220 left over from a number of previous hats, and I'm thinking about branching out into something with more than just two colours in the future!